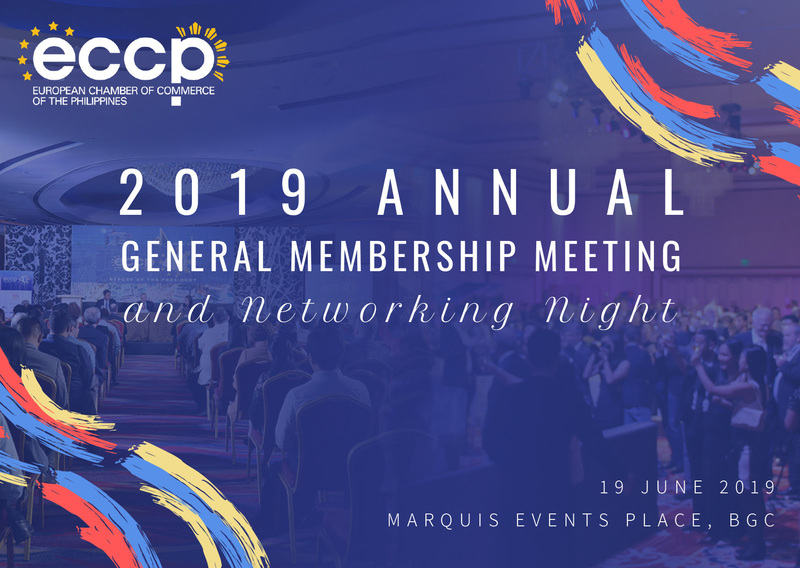 The ECCP will be having its Annual General Membership Meeting (AGM) this coming Wednesday, 19 June 2019. At this year's gathering, your Chamber will be sharing a year-end review of our efforts on policy advocacy, business opportunities, past activities, as well as sharing plans for the year ahead to address the various needs of you, our members. In celebration of the ECCP's success this past year, we will also be hosting a networking night which will follow immediately after the AGM. Members whose official representatives attend the AGM will receive complimentary access to the Networking Night so make sure to attend both! Your ECCP Primary Representative and/or Alternative Representative will receive complimentary tickets to the AGM. Should they be unavailable to attend, they have to sign the attached proxy form below and send a soft copy to agm@eccp.com. The Networking Night, happening immediately after the meeting proper, will be open to both members and non-members, with members who attend the AGM having free access to this. If your ECCP Primary Representative and/or Alternative Representative will not be able to attend the AGM in person, the attached proxy form should be filled and sent by email to agm@eccp.com. The nominees for the Board of Directors and all relevant documents for the AGM will be submitted at a later stage. You may opt to send the proxy the attached 5-year proxy form valid from 2019 to 2024. We would like to make it very clear that this 5-year proxy cannot be used for voting; voting can only be done by members present at the meeting or represented by a voting proxy for this specific event only. reservation form or proxy form to agm@eccp.com on or before Monday, 27 May 2019. Ms. Dei Cimatu via dei.cimatu@eccp.com.